Just relying on faster processor clock speeds isn’t sufficient for vision processing, and the idea is spreading to other markets. Convolutional neural networks (CNNs) are becoming one of the key differentiators in system performance, reversing a decades-old trend that equated speed with processor clock frequencies, the number of transistors, and the instruction set architecture. Even with today’s smartphones and PCs, it’s difficult for users to differentiate between processors with 6, 8 or 16 cores. But as the amount of data being generated continues to increase—particularly with images, video and other sensory data—performance will be determined less by a central processor than how quickly that data can be moved between various elements within a system, ore even across multiple systems. While universities have been studying deep learning algorithms for some time, only recently has it been viewed as a commercial necessity. That has resulted in huge advances over the past couple of years, both on the hardware and on the software side. “Universities are not in the business of deploying products, so power does not matter as much and in this context,” said Hijazi. But power matters a great deal in commercial applications such as autonomous vehicles. General-purpose CPUs are not the processor of choice for multiple-accumulate operations. So far, it’s not clear what is the best platform for this. Single instruction, multiple data (SIMD) architectures, discrete and embedded FPGAs, DSPs and GPUs have been battling it out over the past year for dominance in this space. The jury is out as to which architecture works best where. But the end goal is relatively straightforward. There are significant power and performance tradeoffs associated with CNNs, and there are some fairly obvious ways to separate the issues associated with design efficiency in neural networks. The choice may be supporting 5 trillion operations per second, but someone may come along with a better network that requires more computing and suddenly it doesn’t work anymore. That applies to the type of engine used to run the neural network, as well. What is the raw compute per watt for the type of data that you’re operating on? He pointed out that there is a big variation between the cost per operation for 32 bit-floating point vs. 16-bit floating point, and that’s different than 16-bit fixed point or 8-bit fixed point. A second-order consideration is that if every possible data type is supported, the power will tend to be higher. Computation tends to look like the highest-power computation that is supported, so it’s not always possible to support every type of every data type. The sheer presence of all the other options tends to bloat the design, which carries a penalty in cost and power even if they are not being used. That means design teams need to determine which data type to support and the range of that data. Extra degrees of flexibility are a type of guard banding. In addition, no real-world network runs at 100% efficiency because all platforms have some degree of flexibility, said Rowen. They are all programmable in one way or another. Some layers in a neural network do no multiplies at all, so the fact that there are multipliers present means they’re going to be idle. 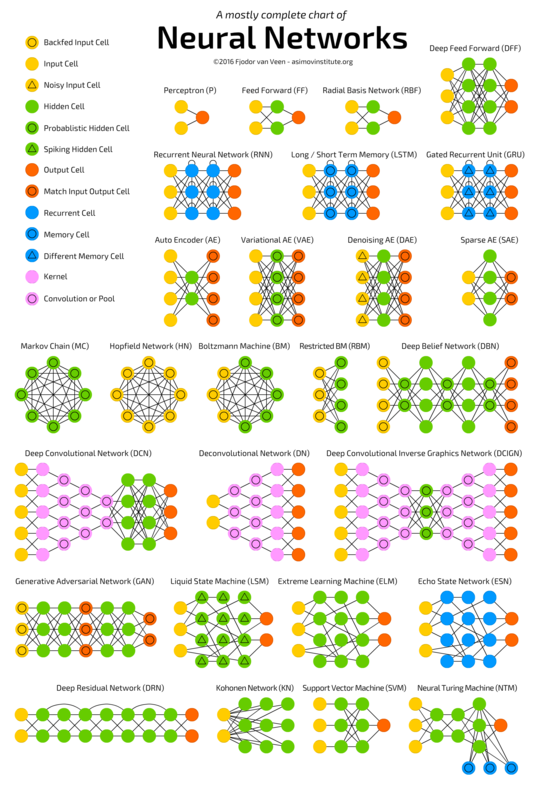 The degree to which the hardware is balanced to fit the profile of what’s actually used across a range of different neural network structures does become important, and it often depends quite a bit on what the usage model is. Different platforms will have different energy efficiency levels even with the same utilization. One reason why that occurs is because more or less flexibility can be built into the architecture. At its most basic, CNNs are a combination of multiply-accumulate operations and memory handling. Power is a close second, though. As an example of the ongoing evolution of deep learning architectures is the idea of recurrent neural networks (RNNs), which add temporal elements, he noted. “If you have a two-dimensional image and it’s frozen in time, what happens in the next image or the image after that? You have this idea of time or a temporal component, and that’s where the current neural network adds that capability. CNNs aren’t going away, but we are seeing recurrent neural networks starting to gain some attractiveness for speech and audio and other areas. Or if you want to combine a CNN, where you are capturing what’s in the image, with an RNN to find out what happens over time, now you can actually do a video caption to describe what’s happening in the video. It’s not just a guy holding a guitar. It’s a guy playing a guitar. That’s the near future,” Cooper said. CNNs are just one of many possible approaches being suggested for moving large quantities of data. As the amount of data continues to balloon, entirely new architectures are being suggested. CNNs help move the data more effectively between processing elements and memory, but there is also ongoing research into new types of memory and new processor architectures to go along with neural networks, as well as new architectures that move the processing closer to or even into memory. Adding more dimensions creates more data, all of which needs to be processed using new architectural approaches.